You're looking around on Indeed or one of the other job sites, and you see a job posted that sounds exactly your job. Your first thought is probably going to be, "Why is my position advertised?" Then you might start wondering if you are about to lose your job. First, take a deep breath, then read on to learn what to do if you see your job advertised online. It can be alarming (to say the least) if you notice that your job is being advertised, and it's important to take action to deal with the situation. But, first of all, don't panic. In some cases, employers will add a job that’s similar or identical to an existing position and have no intention of firing anyone else in that capacity. In other cases, it’ll be obvious that your job is being advertised since its one of a kind position such as the Director of Sales for the Eastern Region, for example. It’s still not time to panic. Before you totally lose it, try to figure out what's going on with the company. If you work for a large company, there will obviously be more turnover and more advertised job openings than at a smaller company. 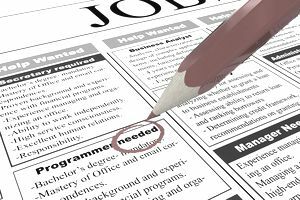 In addition, job listings that are posted on job search sites can stay online after a position is filled, so this could be the case if you haven’t been employed for a long time. The best place to check to be certain which jobs are currently available is on your company's jobs website. If you aren't positive that it's your job that’s being advertised, you have two basic options. You can seek clarification from management or operate as though you are sure that your job is in jeopardy. But think carefully – on one hand, confronting management could result in an immediate request for you to vacate the premises, and you'll be out of a job sooner rather than later. On the other hand, discussion with your supervisor might provide the opportunity to discuss issues like a deal for your continued cooperation in exchange for severance pay, a recommendation, or perhaps even a transfer into another job. It all depends on what you feel is worse – the stress from the risk of potentially losing your job right away if you confront your boss or the anguish and worry of waiting it out. Be careful not to slack off at work or display any evidence of a negative attitude. You want to make it harder for your employer to let you go or make do without you. Don't give them an excuse to fire you. If your attitude is positive and your current job is just not a great fit, your employer will be more likely to consider you for an alternate role or at least give you as much time as possible to find a new job before letting you go. You may want to consult with an employment attorney or union representative if you think you have protections available through an employment contract or a collective bargaining agreement. However, many employees don't have these protections since they are hired at will, which means they can let you go at any time without prior notice. You should immediately spring into job search mode if you aren't sure that your job is safe. This means updating your resume to include the latest information about your current position. Also, make sure that your LinkedIn profile is complete (including recommendations) and up-to-date. Start to scour job listings and apply for at least seven jobs each week, if possible. Identify potential companies of interest and look for job postings on their website. Also, send a letter of interest and resume to managers of relevant departments whether a job seems to be available or not. Launch a vigorous networking campaign by reaching out to contacts through your family/friends network, college alumni and members of professional groups to which you belong. Use social media to identify additional prospects like members of groups on LinkedIn. Approach as many contacts as possible for informational consultations. Increase your professional activity. Help to organize meetings and conferences, volunteer for committee assignments and present workshops at professional meetings to raise your visibility. Have You Stayed Too Long at Your Job? Can an Employer Change Your Job Description? What is the Average Hours Per Week Worked in the US? Can an Employer Require Me to Use My Own Computer at Work?